The ‘Golden West’ is at its most glittering in the make-believe worlds of Los Angeles – movie capital and sprawling metropolis – and the Nevada Desert’s oasis of colour and opulence, Las Vegas. Discover them both on a fun-packed holiday that also features one of the world’s most breathtaking natural wonders – the awesome Grand Canyon. Enjoy a full-day tour to the laid-back, Pacific city of San Diego. From beaches to boardwalks, to the fields and footpaths of sprawling Balboa Park, there’s plenty of outdoor space to enjoy the weather and outdoor way of life. Journey east into the Nevada Desert, heading for the spectacular Grand Canyon, close to where we’ll spend the night. Another unforgettable day awaits. Wake early to witness the breathtaking sight as the sun rises over the Grand Canyon – one of nature’s most eye popping sights. Later, perhaps enjoy an optional helicopter flight, on which you’ll swoop like an eagle into the Canyon itself. This afternoon, we’ll continue through the awe-inspiring desert landscape to Las Vegas. Discover glittering, glorious Las Vegas, the world’s most colourful entertainment centre. Nothing prepares you for the glitz, glamour and sheer scale of this monument to man’s capacity for fun. 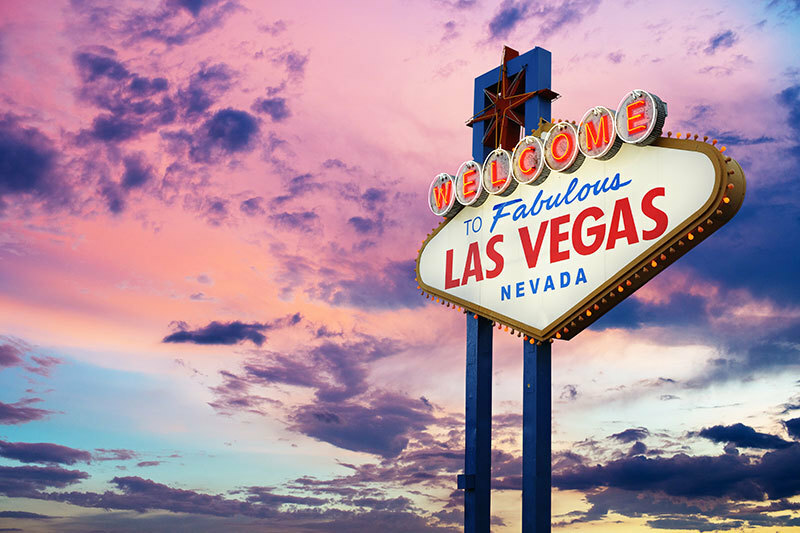 Spend your days at leisure in Las Vegas, perhaps exploring the shopping malls, heading out to one of the many golf courses or taking an optional helicopter ride over the ‘Strip’ by night. Come sundown, try your luck at the sparkling casinos and see the spectacular displays of the Bellagio Hotel’s iconic dancing fountains. Bid farewell to ‘Vegas’, heading for Hollywood, home to the ‘stars of the silver screen’ and renowned centre of the movie-making industry. Spot your favourite on the ‘sidewalk’ of Hollywood Boulevard before continuing to the airport for the overnight return flight.